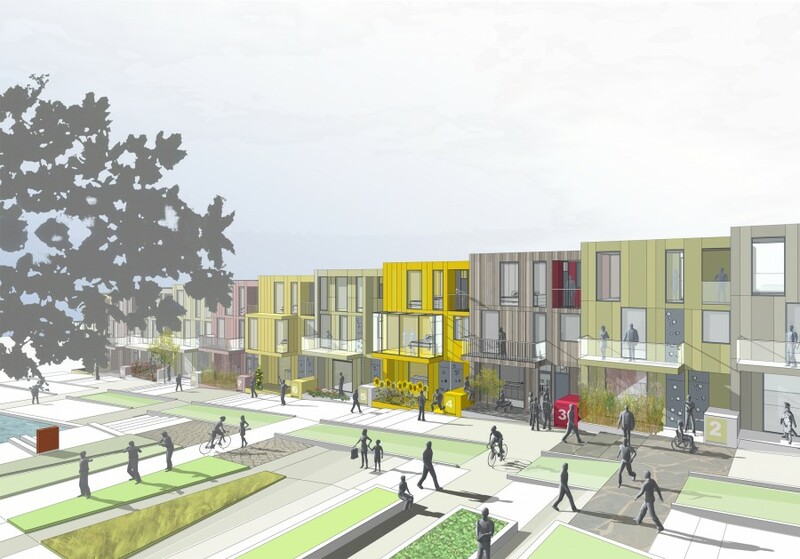 This winning entry to an International Housing Competition focused on economy, repetition and sustainability in response to the brief that asked designers to "redefine housing for the 21st century." 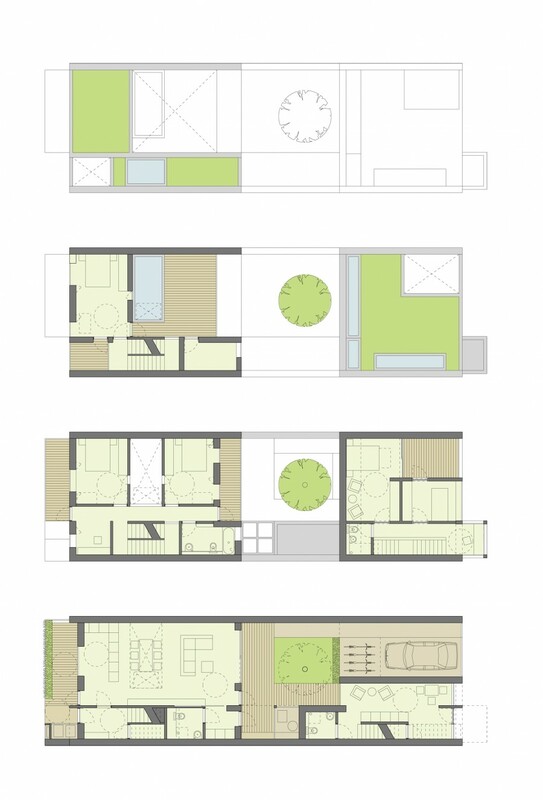 The design was developed in collaboration with a manufacturer working at the forefront of sustainable construction, resulting in a highly adaptable housing ‘product’ that exceeds all current energy use requirements. Following a ‘fabric first’ approach, it achieves Code for Sustainable Homes Level 4 with a Code Level 6 external building envelope. 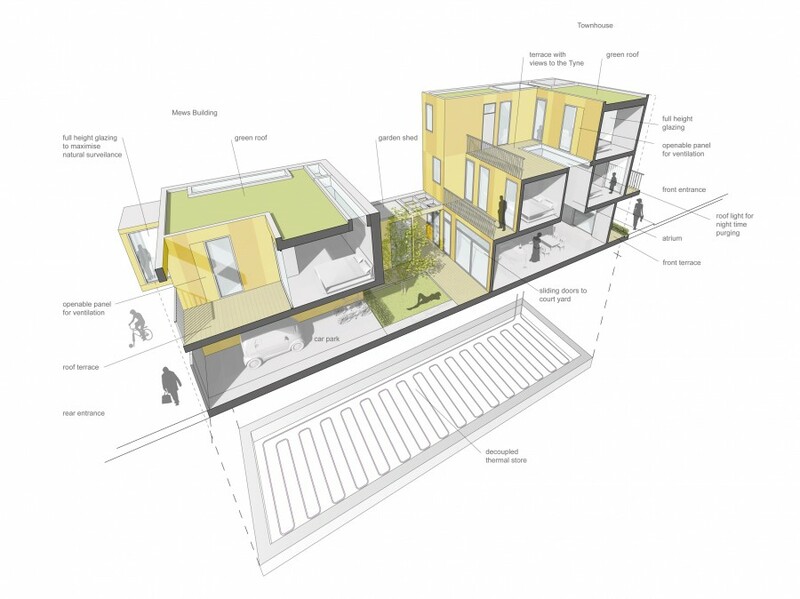 Although designed as part of a terraced scheme, it can be easily adapted to work with detached, semi-detached or multiple occupancy typologies. Low carbon, low cost and quick to build. This approach shows a remarkable level of innovation, and a practical and deliverable design. In consultation this was a popular scheme. The public especially liked the bright and cheerful facades, and the variety of colours and materials. This was a good response to the brief, giving an active and animated addition to the streetscape.